Starting the week off with some lovely home & diy inspiration. Have a productive and fabulous week friends! Thanks for the inspiration!!! I love the cabinet in the first photo. I want to make that! ;) Miss you Dani! Lovely inspiration for a Monday morning! Thanks for sharing :) I LOVE that yellow fridge! Love the washi tape keyboard. i'm screaming over all of the yellow accents in this post. my favorite! Oh gosh, these photos have transported me to someplace else. Such a beautiful round up. Swoon is right. Ooo that yellow frige is so neat! 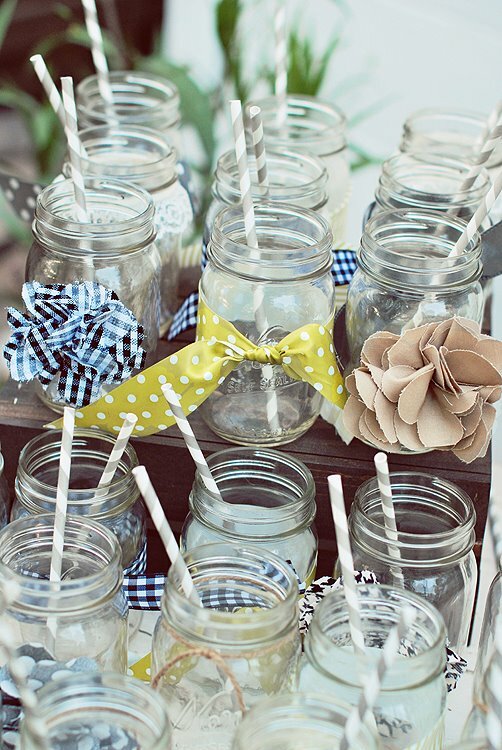 Those mason jars are adorable! And I need to break my habit of looking at email first thing in the morning. Such a bad habit. Thanks for the reminder! That bedding is amazing. Nice find! Love the bed tucked up by the window. What a wonderful room. So much beautiful inspiration. Thank you for starting off my week with so much prettiness. ugh i'm so ready to move out of my boring college dorm apartment and into something of my own that i can decorate like this. love the inspiration! Nice fabric combination for the hangers! The Washi Tape keyboard is so cool. The last photo is beautiful. It makes me want to go out to the mountains and forests three hours from my city. Beautiful pics! Love the closet on the first picture! Love those hangers, I should try doing something similar! really love that anthro bedding!! I love those tips from the Creative Connection, especially the don't multitask one. I like to multitask but on the computer is just does not work. ooo thank you muchly for the link! i wondered where i was getting some blog love from...figured it might have been you!